How old is old? With cats, as with people, it varies by individual. Some cats act old and crotchety when they are 7 or 8, while others still act like kittens when they are 12 or 13. Most cats, though, start to enter their senior years when they are 8 to 10 years old. The signs of aging set in when cells start to deteriorate faster than they can repair themselves. It often happens so gradually that we don’t notice at first. Cats seem to stay young, or at least middle-aged, for a long time, but eventually the signs of age creep forward: the fur isn’t quite as glossy, the eyes begin to dim, the skin hangs more loosely, and the pace slows to a stately march. 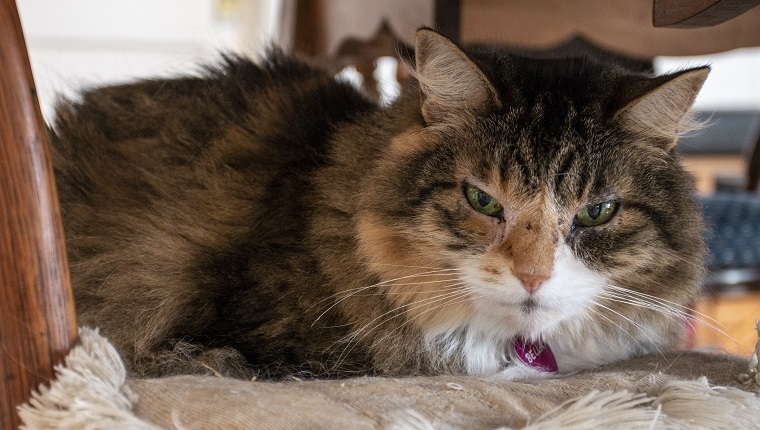 Aging doesn’t mean your cat isn’t long for this world—far from it—but it is a clue that it’s time to start watching for the health problems and diseases that sometimes accompany old age. It’s easy to miss some of the signs that a cat is slowing down. 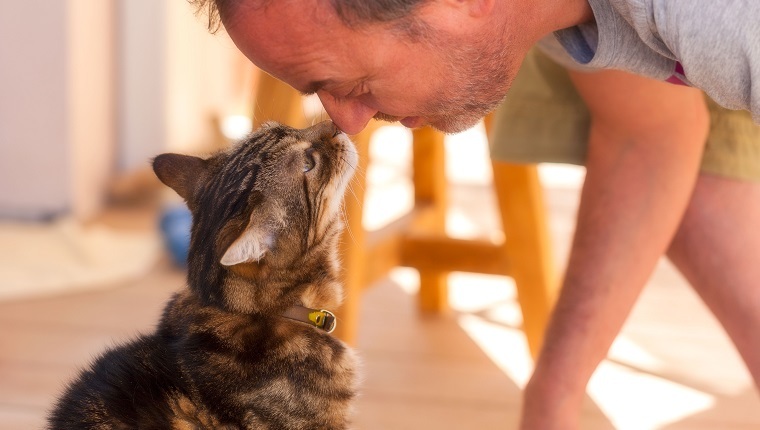 Engage your senses of sight, smell, and touch to help you assess your cat’s well being. 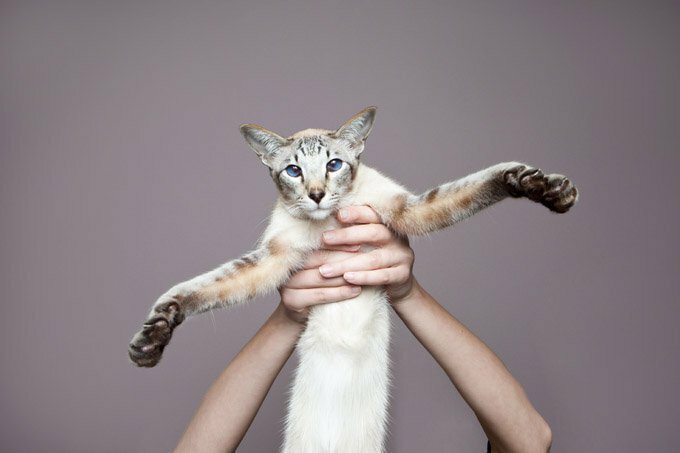 You might notice that your cat moves a little more slowly when they stand up, that they feel a little bonier when you pet them, or that their breath could use a little freshening. Other signs of increasing age are dry fur, flaky skin, and a thinning coat. They might be less active than in the past, and maybe they don’t come running anymore at the sound of the can opener—possibly because they can’t hear it as well. When you trim their nails, they seem more brittle. This is probably a good time to take your cat in for a geriatric exam: a chance for your veterinarian to give your cat the equivalent of the 100,000-mile service your car gets: check to see where they stand as far as kidney and liver function, weight, joint function, water intake and output, dental health, appetite, and energy level. 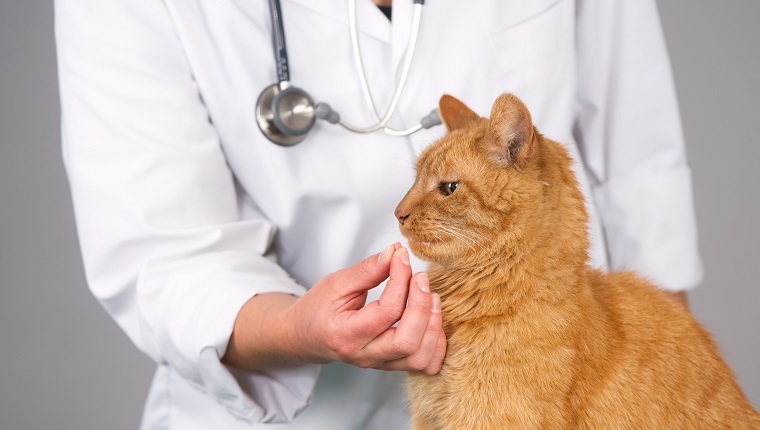 The answers provide a baseline for the veterinarian to work from through the rest of your cat’s life. Healthy older cats can usually keep on keepin’ on. They don’t need a change in diet if the food they’re eating is still keeping them in good condition. If your cat is arthritic, help is available for pain relief. Besides certain pharmaceuticals, there are nutraceuticals such as glucosamine and chondroitin, as well as physical therapies such as acupuncture, chiropractic, and massage. You can also make changes in your home to help ease your cat into a comfortable old age. They include providing steps or a small ramp to furniture, a heated bed or an orthopedic bed to warm and cushion those old bones, and providing additional litter boxes—especially if you have a two-story home—so they don’t have as far to go to get to the bathroom. With good planning and good luck, you and your cat will enjoy many golden years together. Do you have a senior cat at home? How do you make sure they’re getting the care they need? Let us know in the comments below!